Following Apple's "Gather Round" event in Cupertino, which included the introduction of the completely re-designed Apple Watch, the assembled journalists were given a chance to review the new product. Here's what they had to say. "Bigger is better," The Verge said. "The display looks great," Dieter Bohn and Tom Warren write. "It isn't quite edge-to-edge, but it makes the Series 3 look pretty cramped. The colors are bright and vivid on a fully black background. And though I'm not a fan of the super busy new watchfaces, I could see people really getting into having more information on them." Writing for Engadget, Dana Wollman described the new Watch as "a boring update, though in a way, it doesn't matter. Apple already claims that the Apple Watch is the No. 1 watch of any kind, smart or not. The new model doesn't need to be a leap forward. It needs to be just as good or slightly better. Assuming that's true, something tells me Apple is in for another strong holiday season, regardless of how impressed people like me are." Smash Block TV praised the larger screen on the new Watch. "Putting it on, I immediately noticed the extra screen real estate," the un-bylined review stated. 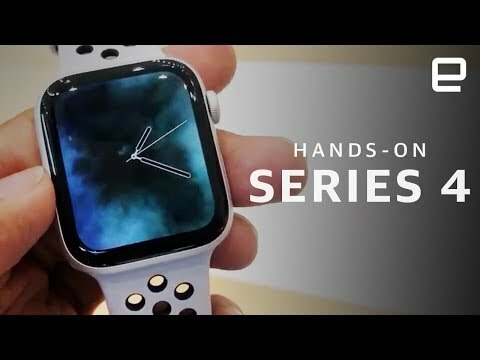 "Where the Apple Watch Series 3's display felt like it was surrounded by some indiscernible bezel, the Series 4 adds over 30% more screen real estate to the Apple Watch without making it feel cumbersome. That double-digit percentage increase is both not much and more than enough." God, the Engadget video is horrifying to watch. Apparently, she never used an Apple Watch before? How can the Engadget review be even worth reading? To add to that, she mentions as a headline "Subtle improvements". It's the first complete overhaul of the watch, with huge improvements, and she calls them subtle. Does anyone know if old Apple Watch bands will still fit this new version? Why post a video like this, which suggests that nothing works correctly on the new watch. This is despite the fact the watch is a major upgrade. It was painful to watch her try and change faces. It really is not that hard and the watch obviously is working fine as we later discover. Clearly she doesn't use apple watches regularly. I had two friends keel over from heart attacks in their early 40s. I'm ready to picket Apple HQ to demand my atrial fib detector and EKG now! So do the aluminum models still have the Ionix (or whatever it’s called) glass, whereas the stainless steel versions have sapphire? I ask because I have a Series 2 stainless steel, and the only way to get stainless steel on the Series 3 (and the new Series 4) is to spend $700 and get a GPS + Cellular version. I don’t need the cellular, all I want is stainless and sapphire glass. And in case anyone asks, I had a Series 0 Apple Watch for nearly two years and the glass had plenty of scratches and chips all over. I’ve had my Apple Watch Series 2 for over a year and and not a single scratch, chip, or mark to speak of, and I don’t baby it. Specifically called out during the event, yes. The fall detection and extra heart monitoring options is just what my brother in law needs. He has muscular dystrophy and falling is sadly a more frequent occurrence for him, despite only being 25 years old. Just fantastic, thank you so much Apple. I'm predicting a super cycle. 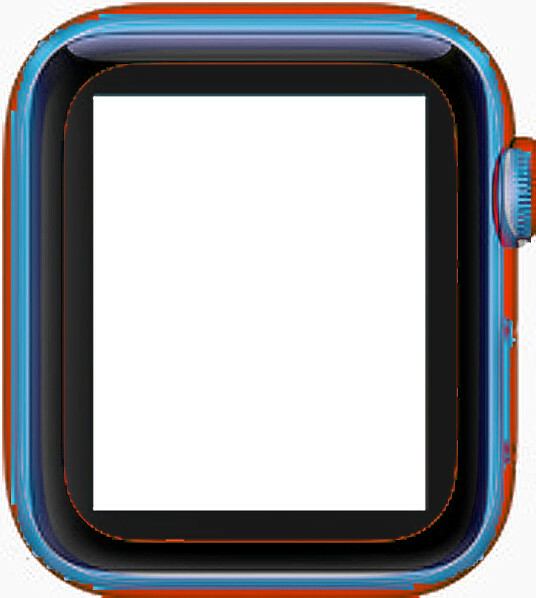 I'm really digging the new watch face and seriously want to see this Watch in the store. I suspect some will switch to the iOS ecosystem just for the benefit of the watch. This was finally sufficient to make me give up my series 0 (or more accurately, will be). I (happily) don't have need of the fall detection and ECG features (which are breathtakingly huge breakthroughs, crazy Engadget woman), but those plus the overall increase in real-world usefulness of the device now totally surpasses every aspect of the watch I currently own. "Writing for Engadget, Dana Wollman described the new Watch as 'a boring update'"
Remind me not to read Engadget. Completely clueless. She is utterly ignorant of how to switch watch faces, and instead tries to blame it on the beta software. Errrnnnt. Nope, its you. Edge-swipe. Seeing it it this way, I’m also surprised how thick the bezels really are. While the display area is definitely a nice upgrade, it really isn’t that much bigger when the rounded corners are applied. Has she ever used an Apple Watch before? Also, please work on not saying “umm” so often, it um gets um really um distracting um and difficult to um pay attention to um what you are um saying um. Nothing was wrong with the watch. She doesn’t know how to use an Apple Watch. To consider for leaner-wristed people: It looks like on the smaller version (40 mm) of the S4 the display size is actually slightly bigger (rounded corners may negate some of that though) than on the larger version (42 mm) of the S3 (and older I presume), i.e. 342x394 pixels, 759 sq mm, versus 312x390, 740 sq mm. At least that’s what I see on https://www.apple.com/watch/compare/.